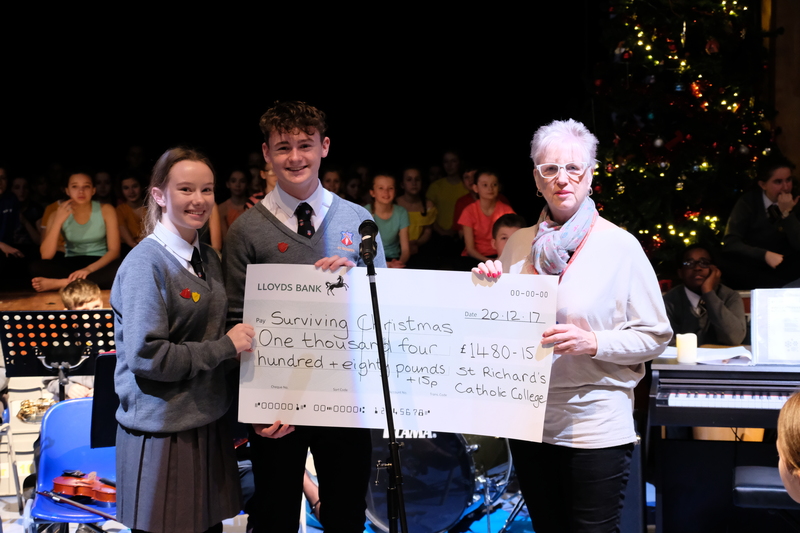 The end of term at St Richard’s Catholic College saw the main corridor overflowing with brightly coloured boxes, cakes, sweets, biscuits, tins, clothes and toys in aid of the ‘Surviving Christmas’ project. The charity provides much needed necessities to families and vulnerable people who may struggle to eat and keep warm during the festive season. 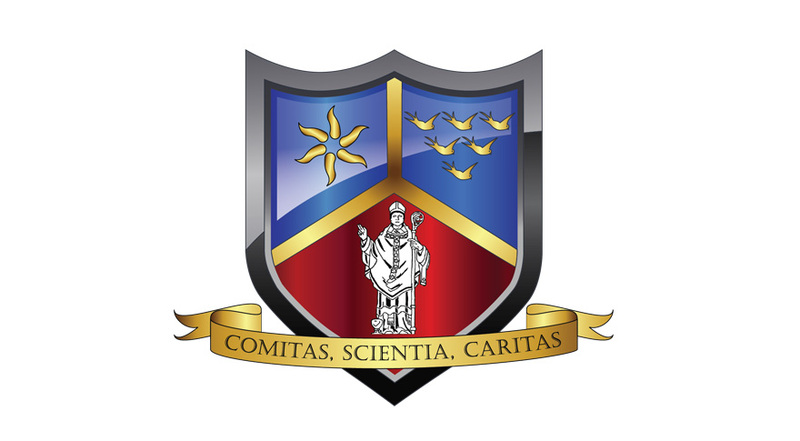 Each year, the college community holds a mufti day on the penultimate day of term. 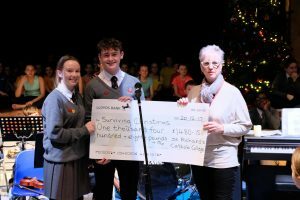 In exchange for the chance to wear their own clothes and ‘let their hair down’, staff and pupils are asked to bring in the customary £1 charity donation, along with items for the ‘Surviving Christmas’ appeal. 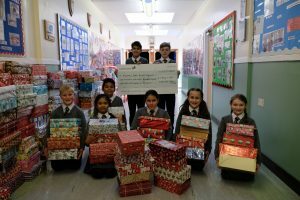 The food, clothes, toys and other goods are then divided into boxes (adeptly wrapped by members of the school council) and collected by the charity for distribution. 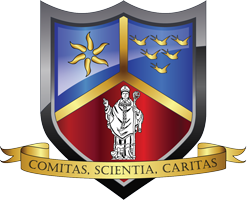 As always, the fundraiser was extremely well supported, and the college was pleased to be able to provide dozens of hampers and £1480.15 to those in need in the local community. This fundraiser followed on from our annual ‘Love in a Box’ appeal which saw a staggering 475 boxes wrapped and filled with toys and Christmas treats collected by the Mustard Seed Mission and distributed to children in war-torn countries. Each of these boxes also carried a £4 charge meaning our total Christmas fundraising efforts for those less fortunate totalled over £3380. We are extremely proud of how our pupils rose to the challenge to ‘look outwards’ over the Christmas period and consider the wider world and community.